The scientists conducted a series of six studies, where participants either presented themselves as possible friends, or they were the people evaluating who they would want to be their friends. Throughout the studies, people presenting themselves to a new group chose higher status items. Yet for the people asked about who they would want to be friends with, they preferred people with lower or neutral status symbols. To control for the possibility that a luxury good might play a role in people’s reactions, the researchers conducted a study where they asked people which of two plain t-shirts participants would wear to a picnic in their efforts to make new friends. One t-shirt had “Walmart” written on it in plain script, and the other t-shirt had “Saks Fifth Avenue” written on it in plain script. The results appear to be consistent across socioeconomic groups. The only difference is that what is considered high status depends on one’s socioeconomic status. One next step is to delve into the mechanism of why presenters are making this error, say the authors. Is it that people often fail to take the perspective of others who are evaluating them as potential friends? Or do they accurately understand the perspective of the potential friends, but for some reason, chose status symbols when presenting themselves anyway? Does this mean that status symbols are always bad? “No, not necessarily” says Patricia Chen (National University of Singapore). “Our findings right now only apply to the formation of new friendships. 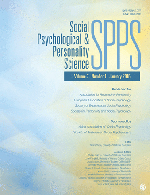 Status symbols may very well be beneficial at other times and in other settings, such as when trying to establish new business contacts.” Their last study in the paper finds that signaling high status symbols can, in fact, be helpful in attracting potential contacts, although not remarkably more than neutral status symbols. Media may request a copy of the paper by contacting press@spsp.org.